Welcome to the world of search engine optimization! Today we're talking about backlinks and why they are so important to your SEO efforts. If you are new to this world, then you may be wondering what the heck backlinks are in the first place and why you should care about them. Keep on reading, because we're going to tell you! When we take a look at many popular SEO topics, such as; keyword phrases, content strategy and analytics, we sometimes overlook what a powerful impact backlinking really has on all of these elements. To get you up to speed, backlinking has one of the highest influences on search engine website ranking. Before we can really comprehend the importance of backlinking for SEO, we must first understand what backlinks are. This powerful SEO component can best be described as a link that is directed to your site from another site on the web – This is also referred to as inbound links. Overall, the number of backlinks your website has will determine the value of your site to the search engine’s algorithm. We now know that the main objective of backlinking is to create quality links that appeal to algorithms. This will help boost website traffic and increase your overall web presence. Just like with any SEO technique, there are many things you should consider, and should disregard when creating high quality content. Most importantly, we want to create high-quality, diverse backlinks. When developing these backlinks be consistent with your strategy because algorithms detect anything that may look unrealistic. For example, 25 backlinks a week is much more realistic than 25,000! With this in mind, don’t purchase backlinks! 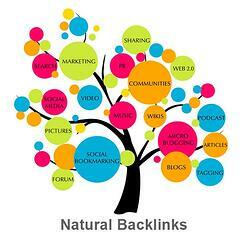 – Instead, let your backlinks develop naturally and think quality over quantity. Google will reward you when you have a high number of quality backlinks, which will create a valuable and relevant web presence. After the search engine calculates the significance of your backlinks it will also analyze the content. If your backlink is considered relevant then it will have a better chance of being recognized as high-quality content. For example, our website blog contains articles relevant to inbound marketing, sales and website redesign – In result; it would only be relevant if our blog articles contained valuable content pertaining to our mission and goals. Search engines will see this content as relevant and will reward our efforts. Next, how do we build backlinks? Well, I am glad you asked! You can build backlinks by issuing press releases, creating copy that is written by an influential person or business, sharing content on Twitter (can I get a re-tweet anyone? ), and blogging on reputable websites (think HubSpot) – don’t forget to link readers back to your website! Creating backlinks can be a complex and timely task – however, if done correctly your web presence will continue to grow and become recognized by Google and other powerful search engines! When building backlinks remember to create relevant and diverse content for a successful SEO campaign!